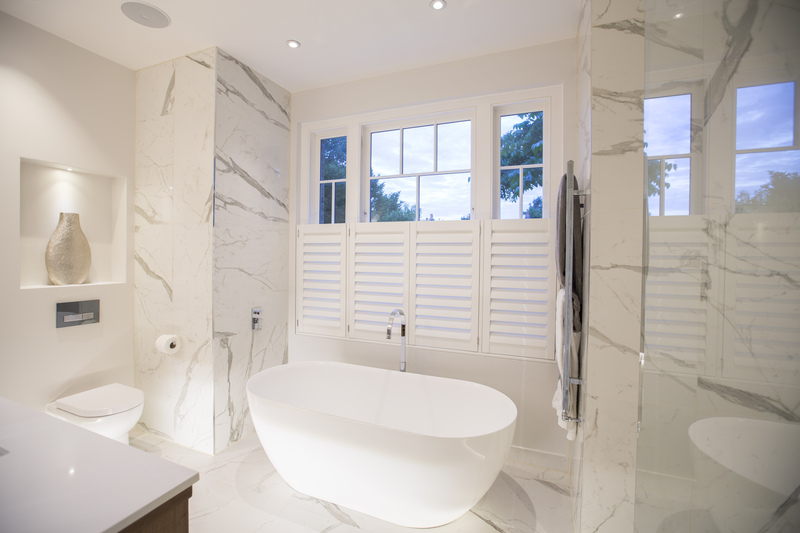 North London Heating and Plumbing specialise in luxury, well designed bathrooms. We offer custom interior design to give you a unique space to relax and unwind. 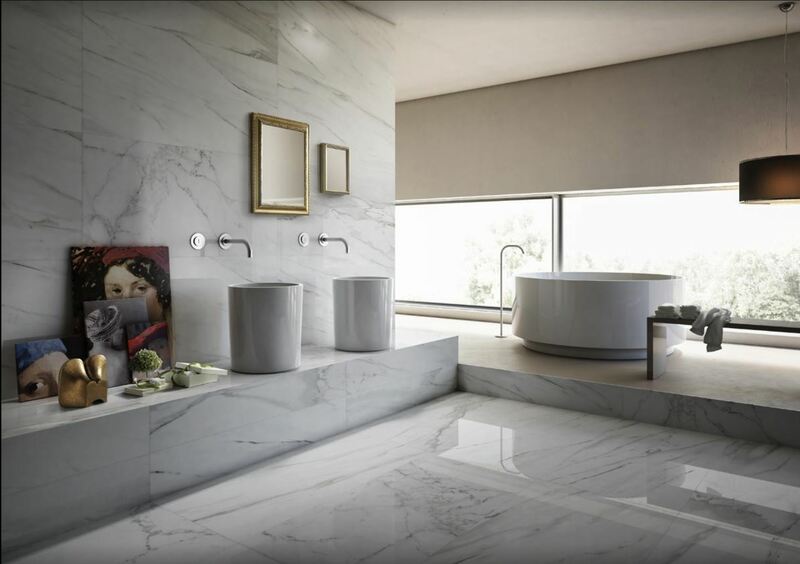 From initial consultation, through to delivery of your finished bathroom, we will work closely with you to ensure we deliver your perfect bathroom. Our Design team have 60 yrs of experience between them and can help with choice of baths, taps, showers, wet rooms and tiling choices. Our bathroom build team, work hand in hand with our design team to create a lasting haven. A tastefully designed and well built bathroom is a well-being oasis in your own home – a haven of peace where you can relax and recharge your batteries. Enjoy this enhanced living quality in your own home, whether as part of a new construction or a renovation project. We use a specialised tanking method to unsure everything is water tight. Bathroom Design and Build – how we work. We have been fitting bathrooms for over 30 years so we are confident we have seen every problem that a property can throw at us. We employ tilers, carpenters, plumbers, heating engineers, electricians plasterers, builders, roofers and even licensed waste removal companies. We take absolute pride in what we do as a company from the initial phone call to the works we carry out. We ensure our customers are left completely satisfied and offer the after care service you would expect from a local company. We use only high quality materials such as Hansgrohe, Crosswater, Merlyn, Roper, Rhodes and Bette to mention but a few. We do this as we know these products will give many years of good service and ensure your bathroom looks good into the future. 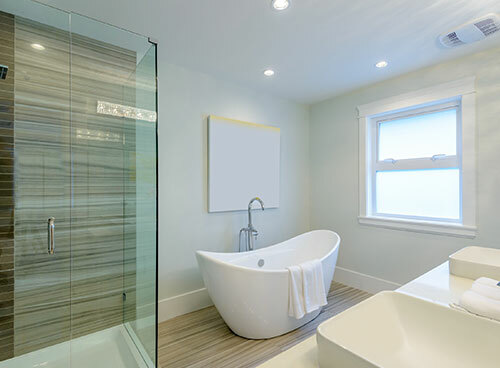 Most, but not all customers have an idea what they are looking to achieve with the look and feel of a bathroom before making a call to a bathroom renovation company. We would be only too happy to help with ideas if you need a little advice – so don’t hesitate to ask and we can send a member of our design team to help you come up with some ideas that will suit the size of your existing space. The two key things to think about are the style and your budget. We can help with with both and can give you lots of ideas. Or call us if you need help! You have now done a little research and have a budget in mind. It’s time to call North London Heating and Plumbing. We will arrange a convenient time for us to visit. Our design specialists Graham or David will come to your home and find a little more about your ideas and explain what’s possible. Armed with over 60 years of design and installation experience between them, you will be in safe hands – they will guide you through your ideas and give their thoughts and advice. We are very confident you will be left happy and ready to move forward. Once our design specialist has visited and taken laser measurements of your existing space, we are able to compile some 3d drawings of the designs that you and the design specialist have come up with. David and Graham will have discussed what’s possible and advised you on the best solutions using materials to suit your budget. We will always try to specify the highest grade of materials within the price range we have to work with and explain the pros and cons of each item. Our specialists are experts in water systems and its important you are aware before installation takes place. For example we won’t advise you purchase a rainwater shower head if your current system cannot heat up enough water – you would be rather unhappy if you had a beautiful shower head with a tiny trickle of water. It is important that you are aware that a bathroom renovation on average takes around 10 days. Of course each bathroom is different and it may take longer but we will try to minimise disruption within the house. We place great importance in protecting your property from dust and debris. Surrounding areas will be protected with floor lay and dust sheets.every day these will be removed and we take great lengths to ensure you are in best hands regarding safety. You may be lucky and have more than one bathroom but if you only have one then it may be advisable to arrange to shower at a friends or a local gym. If there is only one toilet we try to keep this working but at some point you may be without it for a day. This is normally the quickest part of the job and usually takes around a day. All rubbish and your old suite will be taken from site using an environmentally friendly waste disposal company. Like most things and especially with bathrooms, preparation is key. Some days you may come back from work and think not much has been done – but in reality some of the smaller jobs like running cable and pipes can take a long time. It’s all a process and doing things correctly and safely takes time. Our engineers will be on site until the project is complete, however there may be times when we are waiting for adhesives to dry or floors to set before we can carry on with other jobs. We pride ourselves on keeping everyone informed at all times so you always know what’s going on. All our engineers are experts and we don’t rush jobs – as that’s when mistakes happen and you are left with a bad job. Our fitters are all experienced and qualified to the highest standard and work well in a team. Once the bathroom has been completed, we will carry out thorough testing to ensure everything is working well and we will then sign it off through our benchmark policy. We will then hand it over to you and ensure you are completely satisfied before we leave. We believe in great customer care and as such if you have any issues after works are completed – just call our office and we will do our utmost to sort the issues out quickly and efficiently. We are confident in our work and as such leave you with a 2 year warranty on any labour carried out. Taps, toilets, shower screens etc will all come with a manufacturer’s warranty.